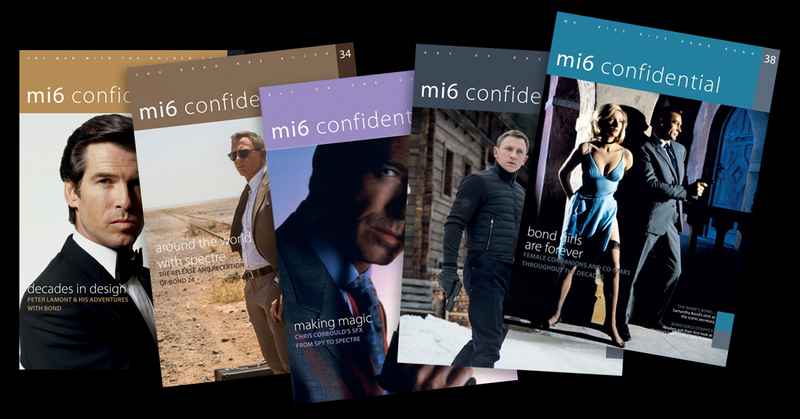 James Bond magazine MI6 Confidential has launched the 2017 season preorder package. You can sign up today to receive all five issues to be released next year in one simple payment - and save! Amongst a smorgasbord of 007 movie and literary features, 2017 will continue to celebrate the James Bond phenomenon as we have been in conversation with even more cast and crew from the franchise. For the first time, this year MI6 Confidential is also publishing a limited edition 100-page special in addition to the five standard magazines. You can include this in your renewal by opting for the 'Deluxe' package and save on the cover price of the special. If you subscribed in a previous year, you can renew with your existing information by following the directions on this page. 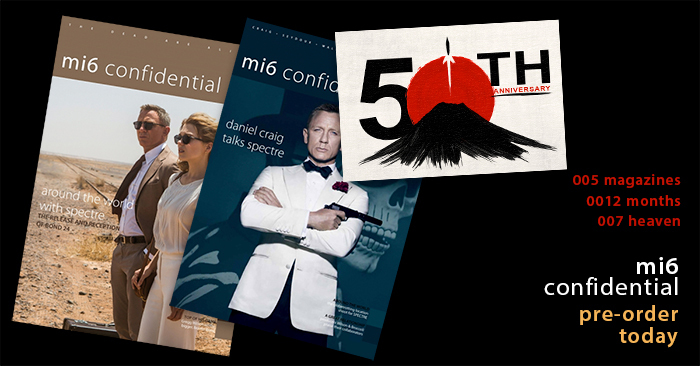 2016 was a busy year for MI6 Confidential wrapping up coverage of the 'SPECTRE' release, catching up with Q and Moneypenny, Ben Whishaw and Naomie Harris, revealing the production design and practical effects secrets of the Brosnan era, uncovering the history of the lost Bond novel, 'Per Fine Ounce', and celebrating the many female costars of the 007 franchsise. Also packed into the 200 total pages in 2016 was unseen artwork, rare photographs and behind the scenes features you can't find anywhere else. Above: MI6 Confidential 2016 season. To get a taste of what MI6 Confidential has covered in the past, head on over to the back issues page.